This is the ultimate challenge for the serious backpacker; a total traverse of the Icelandic highlands. This 32-day tour takes you from the northern lowlands, across the highlands and all the way to the south coast. Following along nature’s beautiful attractions including the North-Atlantic volcanic rift, Europe’s biggest glacier, and through different types of volcanic and glacial landscapes. 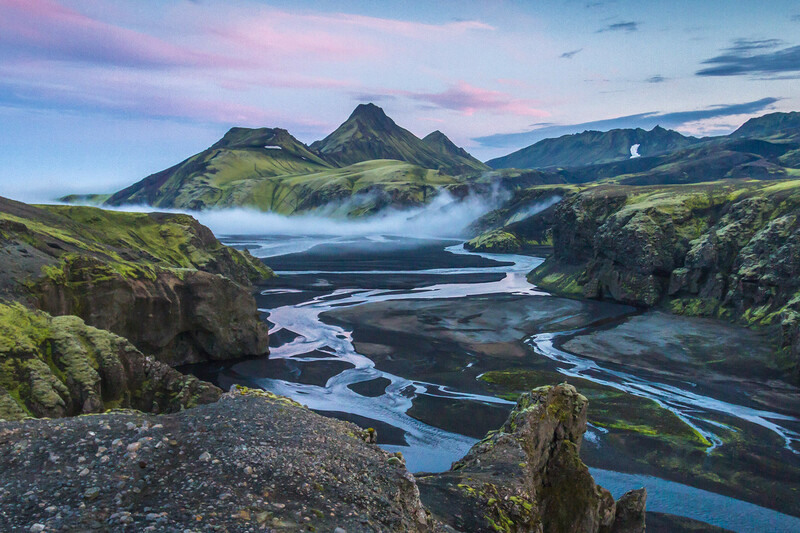 This is a fantastic journey that allows you to see all of Iceland’s unique beauty. The duration alone of this expedition, dramatically increases your probability of witnessing all kinds of weather conditions, sometimes even season shifts. The expedition is made of five legs which we’ve also separated into individual tours if the long tour seems too daunting for you. Enjoy any unique tour leg or combinations of legs to create your own experience just right for you! Only suitable for people physically and psychologically prepared for highly engaging experience. Expedition level. Often involves carrying your own gear.